Today’s advanced technologies allow for more successful procedures, including outstanding neck lift results, without the worry or risk of invasive surgeries. Jason T. Arrington, MD, of Atlantic Plastic Surgery, helps patients in Salisbury and Ocean City, Maryland, improve their appearance with the state-of-the-art technology for neck lifts. 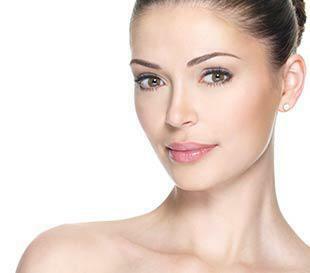 A nonsurgical neck lift can define your jawline and neck without surgery. Dr. Arrington and his team of trained medical professionals are skilled at performing minimally invasive neck lifts for men and women who want their outward appearance to match how they feel on the inside. What is a nonsurgical neck lift? A nonsurgical neck lift is an innovative way to get a firmer neck and jawline without the risks of invasive surgeries. Dr. Arrington uses the PrecisionTx™ laser by CynoSure® as an alternative for patients who want to improve the appearance of their necks with the convenience of a one-hour, in-office procedure. Now, if you’re unhappy with your profile or the extra skin under your chin, instead of undergoing neck lift surgery involving general anesthesia, large incisions, and a long recovery period, you have the option of PrecisionTx. What areas can I treat with the PrecisionTx procedure? What is involved in the PrecisionTx neck lift? The PrecisionTx is a laser treatment that targets the deeper layers beneath the surface of your skin. The laser energy breaks up the fat under your chin and around your neck, giving your skin a smoother, rejuvenated appearance. During this minimally invasive procedure, Dr. Arrington inserts tiny tubes through miniscule holes under your earlobes and under your chin. He administers the precision laser energy that stimulates collagen and melts away fat at the same time. One of the reasons your skin sags is that it thins out and loses elasticity as you age. The heat from the laser energy helps firm up your skin by stimulating collagen production, which continues to increase your skin’s thickness for up to three months after treatment. As more collagen is produced over time, you continue to see improvement in your neck and chin. Is a laser neck lift painful? The pain you may experience from a PrecisionTx neck lift is minimal, if any. The experienced team at Atlantic Plastic Surgery applies a local anesthetic to keep you comfortable during the procedure. Most patients describe the heat from the laser as a soothing sensation with slight pressure around the treated areas. What are the benefits of a nonsurgical neck lift? If you want to rejuvenate your appearance with a simpler neck lift option, use the online booking tool or call the office location that’s closest to you to schedule a consultation with Dr. Arrington.